With their aurora boreale finish, they sparkle like nothing on earth. 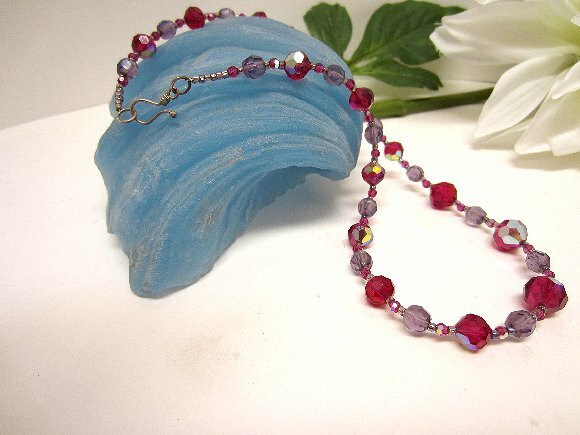 I've used two sizes in this necklace -- 10mm and 8mm -- and spaced them with matching tiny contemporary 3mm rounds, and vintage 6mm round West German lilac crystal. 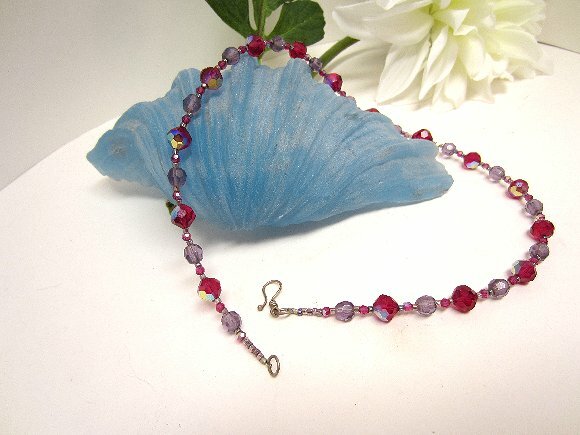 Ladies who are afficianados of vintage Swarovski crystal will know that the company was forced to leave off making the brilliant purple color known as 'cardinal' many years ago, due to environmental reasons. 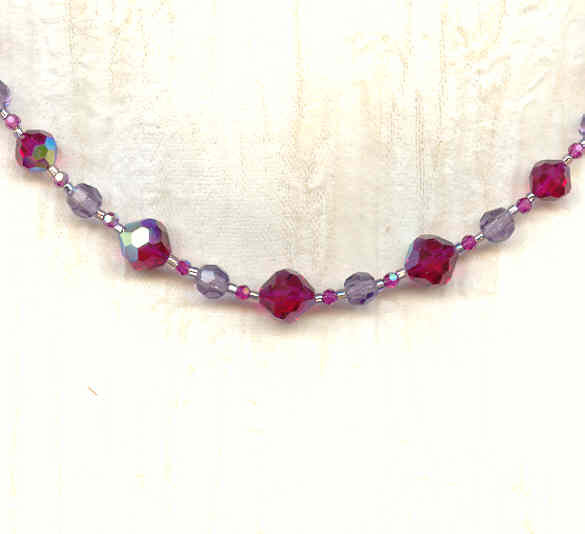 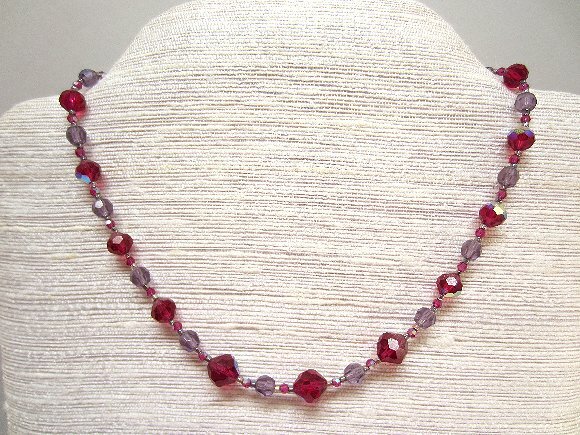 The lilac beads in this necklace are a VERY close match. The 17-1/2" strand closes with a dainty sterling silver hook set. The necklace is a timeless beauty from SPARKLE PLENTY.